The historical core of Bardejov Town Conservation Reservation UNESCO World Heritage Site was inscribed on the List of the World Heritage as the cultural heritage at Cairns (Australia) in 2000, based on criteria (iii) and (iv). Criterion (iv) means that the fortified city of Bardejov is an especially well conserved example of the economic and social structure of the trade towns of medieval Central Europe; criterion (iv) means that the ground plan arrangement of constructions and fortifications in Bardejov illustrates an urban compound developed in medieval Central Europe as an integral part of the contemporaneous network of trade routes, supplemented by a Jewish suburb and a synagogue dating from the 18th century. The city of Bardejov lies east of Prešov in the north eastern corner of Slovakia not far from the frontier with Poland. It is believed that Bardejov existed well before the 11th century, although the first written reference to the town may be found in the Ipatiievski Annals (1241). During the 14th century the town obtained several privileges, including the right to host German immigrants (1320), the right to have the town walled (1352), the right of hanging and the right to hold a market, but above all the right to operate as a royal borough (1376). In the 15th century Bardejov reached the peak of its expansion. Various well-developed trades contributed to its prosperity, above all linen making, as uniquely in the Kingdom of Hungary the town developed an advanced level of linen manufacturing, bleaching and sale. Pottery and brewery were other significant and prospering trades. In 1402 King Sigismund granted Bardejov the right of storage concerning goods imported by Russian and Polish merchants. The merchants of Bardejov were exempt from royal road tolls in the whole Kingdom of Hungary and were granted free movement all over the country. Trade in wine also contributed to the prosperity of the town, as Bardejov owned extensive vineyards in the Tokaj area. By the end of the 15th century the town thrived thanks to its farming base consisting of 14 serf villages. Its economic growth was reflected by lively building activity. 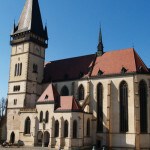 Bardejov Parish Church acquired new altars and the town hall was constructed in the centre of the square. The Reformation during the 16th century brought an intensive period of cultural and educational growth. During this period one Leonard Stöckel, a native of Wittenberg (Germany), was recruited by town councillors to run the municipal Latin school, which subsequently attained a high educational standing. The period of Estate Rebellions and the plague in the late 17th and early 18th centuries paralysed the town. These two calamities were accompanied by high levels of immigration into the villages. The arrival of the Jewish community necessitated the construction of an urban unit with a synagogue and a Jewish suburb, the origins of which date approximately to the first half of the 18th century. The Jewish suburb represents an example of a planned suburban centre built according to Talmudic regulation amidst the residential and trade building fabric of Bardejov. What remains of it today consists of a well-preserved original street network, buildings, and both outer and inner spatial division of structures. The large synagogue, the ritual bath of mikvah and the assembly building of Beth hamidrash dominate. Over time members of the Jewish ethnicity amounted to a third of the total population of the town. The town stagnated during the 19th century, although one major contribution of this period was its railway connection with Prešov, which opened in 1893. 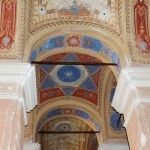 However, at the start of the 20th century Bardejov became the victim of an all-consuming fire. During the Second World War its position deteriorated further. Jews were deported to concentration camps and their property was confiscated. In the 1970s renovation returned the original medieval face to Bardejov. 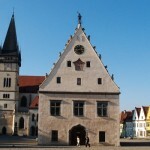 The urban core of Bardejov is a singular example of highly-developed medieval town. The ground plan of the town with its regularly-designed streets surrounding a market square is a significant example of European civilisation during the 13th and 14th centuries. Its concept has been preserved until the present time. The foundations of the burgher houses of Bardejov were built in the mid 15th century when their number in the town amounted to about 500. They circle the market square and represent a highly developed urban culture which at its peak involved many ethnicities, indeed a truly multicultural society. At the centre of the square stands the Renaissance town hall building. The most symbolic and dominant architectural feature of the town is St Egidius Roman-Catholic Church, a three-nave Gothic basilica dating from the 14th century which was rebuilt in the 15th century. 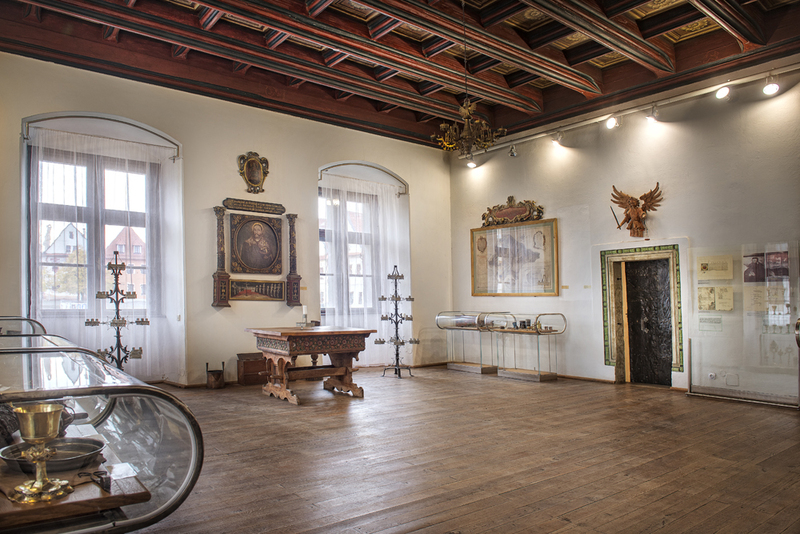 Its interior contains a rare set of 11 Late Gothic altars. 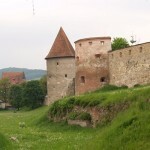 The town fortification system is one of the best surviving in Slovakia, and at the time when it was built it was among the most perfect in Central Europe. It was built in stages – the castle walls date from the 14th century; the three gates, the moat, the gallery, the outer moat wall and the additional bastions (one of which was 3.5 metres thick) were built at the end of the 14th century; and the last stage of construction took place at the beginning of the 17th century when the Malá bašta (Small Bastion) with its arsenal was completed.